In early 2017, Hulu launched its new series adaption of “The Handmaid’s Tale,” the dystopian classic by Margaret Atwood. 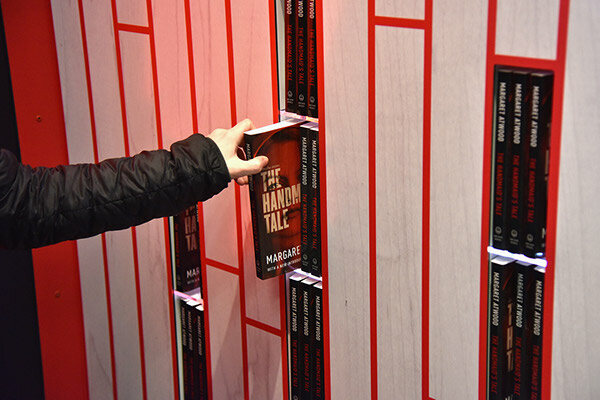 Pentagram has designed a new interactive public art installation that celebrates the series by distributing 4,000 free copies of the book. 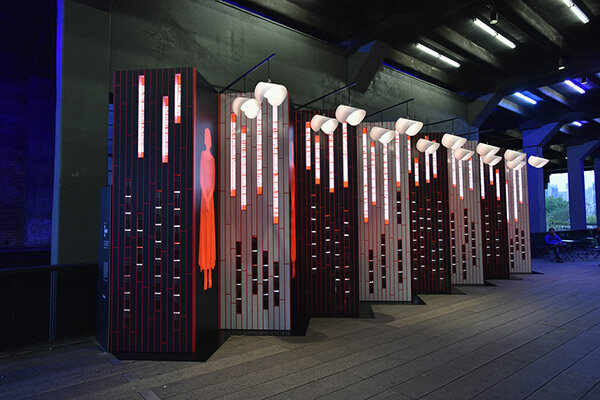 The project is displayed in a high-profile location at the High Line in New York. 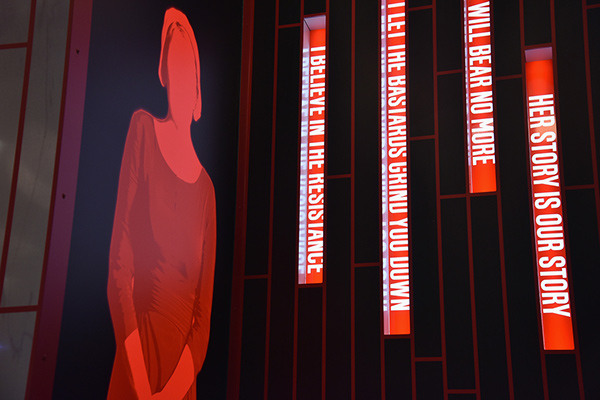 Originally published in 1985, The Handmaid's Tale has new relevance in today’s political climate. 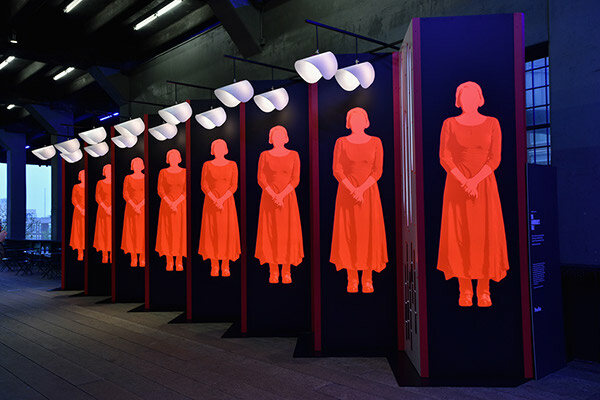 The novel is set in Gilead, a future theocracy where women have been stripped of their rights and subjugated into roles as “handmaids,” used expressly for procreation. 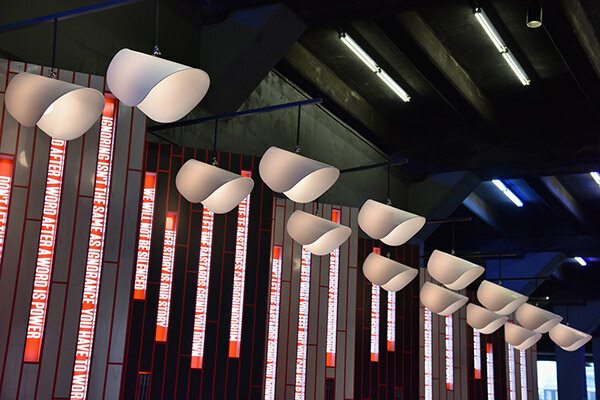 Pentagram collaborated with Civic Entertainment Group on the installation. 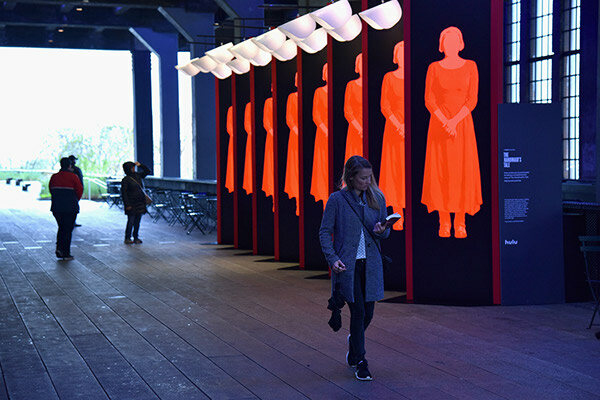 The 40 feet long by 12 feet high wall is arranged in an accordion fold of panels that feature the faceless silhouette of Offred, the story’s lead character, played by Elisabeth Moss in the series. The display houses paperback copies of the book that passersby can take down to reveal powerful messages of resistance from the novel. 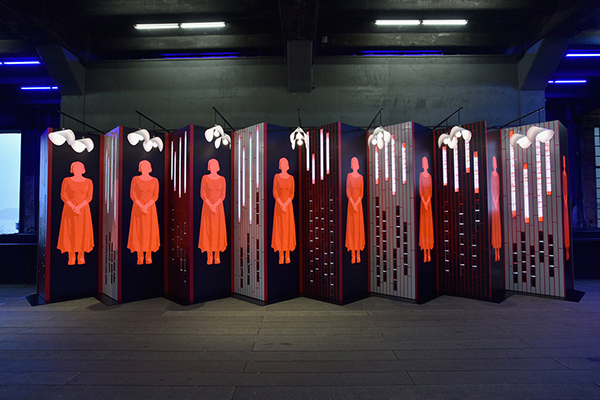 These include “Nolite te Bastardes Carborundorum” (Translation: Don’t Let the Bastards Grind You Down), a battle cry of survival that the designers also used as a title for the installation. The images are backlit, giving them a luminous glow, and the typography of the slogans brightly shines through recesses in the wall. 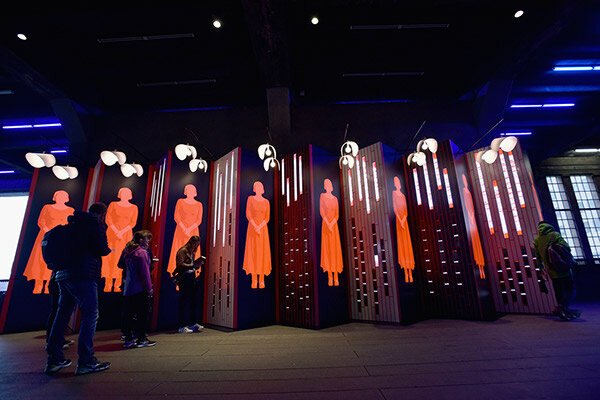 The display is also illuminated by lighting fixtures in the distinctive shape of the bonnets worn by the handmaids.